Hello everyone! This week has been a busy one for me with the start of my internship. But, I have to say, it has been an amazing experience so far! If you read my last post you would know that I am trying to add a bit of variety to my diet. I have decided to start with my dinners for now. My plan is to on Saturdays go on Pinterest to find healthy but easy and quick recipes for every day of the week. Then Saturdays or Sundays I will go shopping to get everything that I need. I know that a lot of people have been meal prepping and preparing all of their food for the week over the weekend, but I decided to wait to cook until the night that I am going to eat it. I love to cook and it relaxes me after a long day, so I decided to go the cooking every night route just because it works better for me. It is all about planning and figuring out what works best for you! I usually make enough for leftovers and eat them the next day for lunch. This week was my first week and I think that it went pretty well! 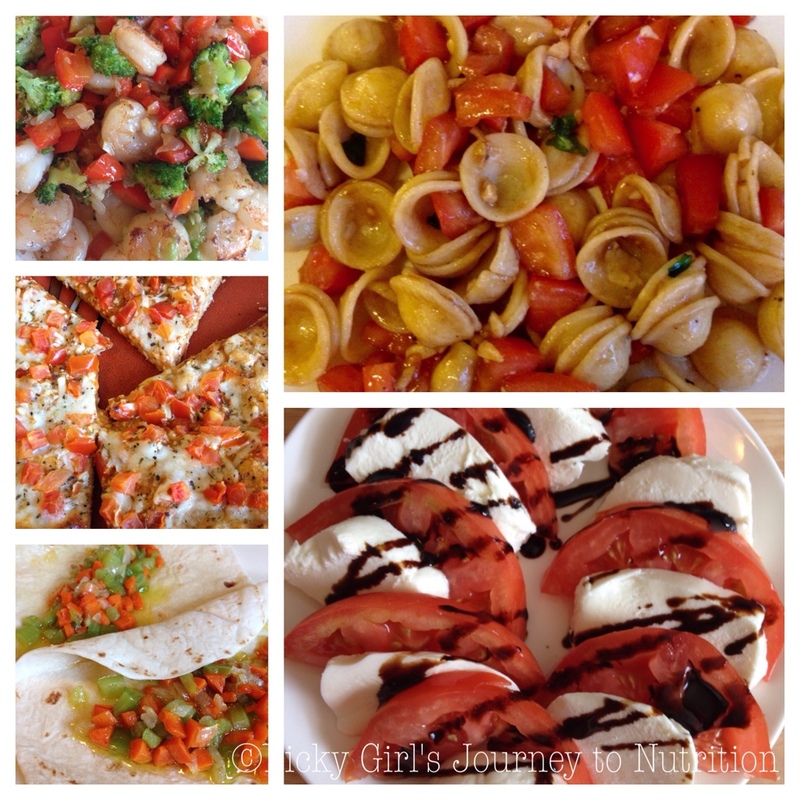 I plan to do the same thing every week, just with different recipes. I’ll let you know how it goes! 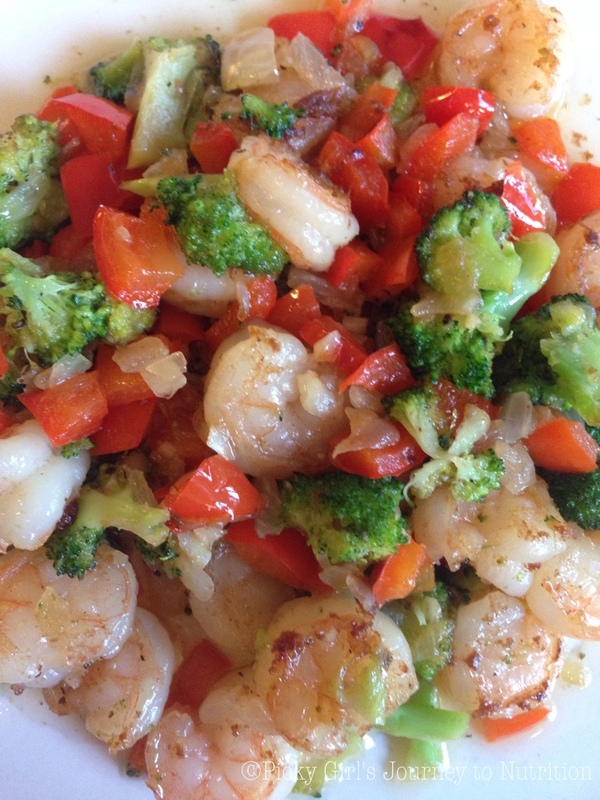 This was my absolute favorite recipe of the week! I was a bit nervous at first to make it because I am not a fan of cold pasta salad, but even though you only cook the pasta, not the other ingredients, it was wonderfully warm! It was even better the next day for lunch. I will definitely be keeping this recipe for later usage. The only things that I changed were not adding any onions (I don’t really like eating cold onions) and I used balsamic glaze instead of balsamic vinaigrette because that is what I had on hand. The only things that I changed were, using olive oil instead of coconut oil (I don’t like using coconut oil because of its high saturated fat content) and I didn’t add the lemon-pepper seasoning just because I didn’t have any. Tonight I went out to dinner with some friends and it was a lot of fun. You have to treat yourself every once in awhile! I will be perfectly honest, I was tired from a long day and didn’t feel like putting any effort into my dinner. So, I resorted to frozen pizza, which was delicious if I do say so myself. 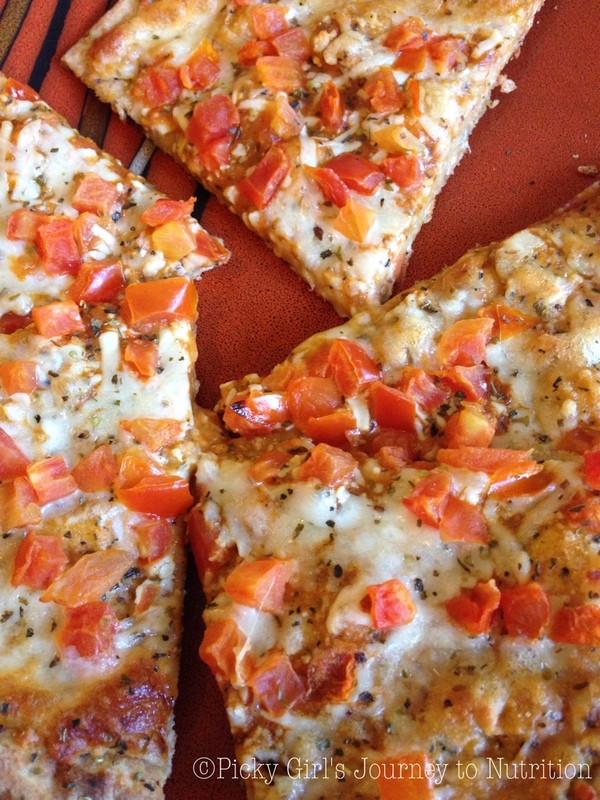 It was a thin crust Margherita Pizza, which is my all time favorite kind! This is an oldie but a goodie and from my blog! 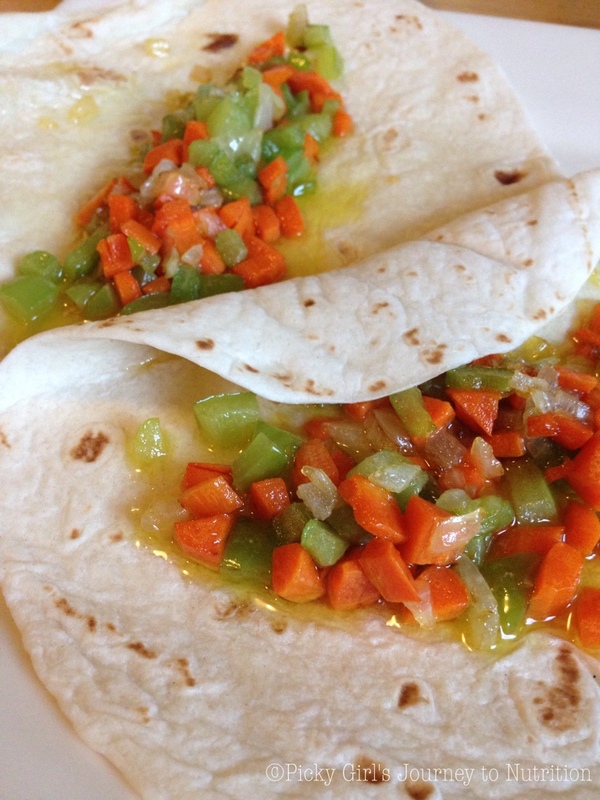 You can find the recipe by following this link: Veggie Tacos. Today, I made Caprese salad for lunch. 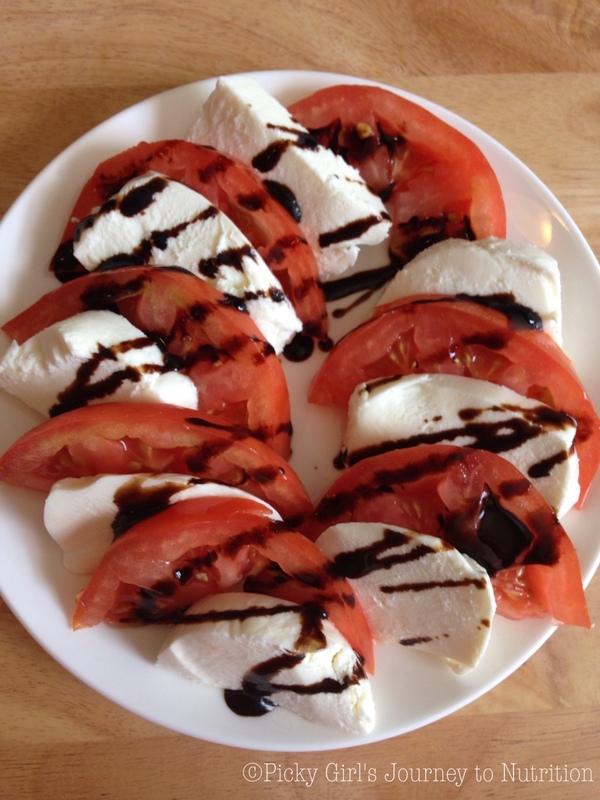 The only ingredients you need are tomatoes, mozzarella, balsamic glaze, and basil (I forgot to get more basil at the grocery store, so just went without it)! Tonight for dinner I am going to eat leftovers and then tomorrow I’m off to the grocery store for more meal prepping for the upcoming week. I hope that you all enjoyed the new post and have a great week! 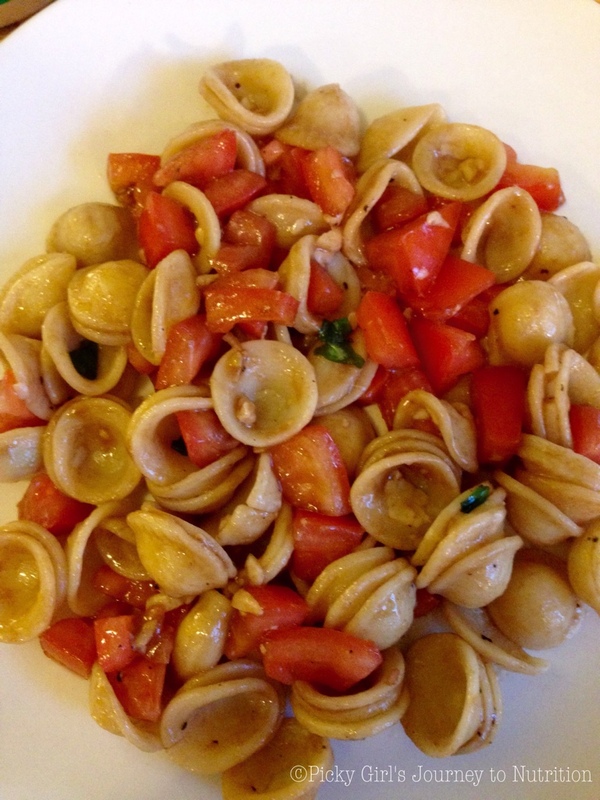 I will make that pasta tomato bruschetta as soon as tomatoes are back in season, maybe sooner with grape tomatoes. Veggie tacos–yum and thanks for sharing. Great tips. I have time in the evening too to cook simple dishes too (sometimes) and it is very gratifying!